Dy. General Manager (Treasury): Candidates who have completed Master’s degree in finance /banking /treasury/ International trade or CA or ICWA or CFA (USA) or equivalent from a recognized Institute for Abhyudaya Bank Recruitment 2018. Dy. General Manager (I.T. ): Candidates who have completed Graduation in a relevant discipline such as Computer Engineering or Information Technology or Networking or Computer Applications or Hardware Engineering or equivalent from a recognized Institute for Abhyudaya Bank Recruitment 2018. Manager (IT): Candidates who have completed Graduation in a relevant discipline such as Computer Engineering or Information Technology or Networking or Computer Applications or Hardware Engineering or equivalent from a recognized Institute for Abhyudaya Bank Recruitment 2018. 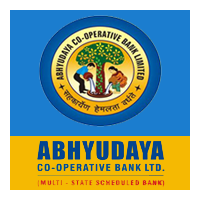 Eligible & Interested candidates can apply via online in Official website page at www.abhyudayabank.co.in Abhyudaya Bank Recruitment 2018.